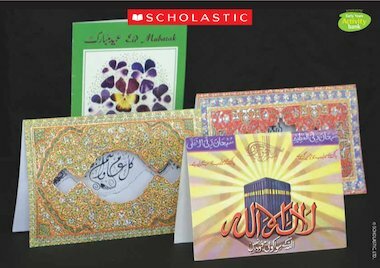 A poster showing a selection of Muslim greetings cards. The caption to this picture .. The caption to this picture is wrong. These cards are actually Eid greeting cards for the muslim festival Eid.